Rebecca Miguel’s first venture Blink Booking is quite successful and has made prominent efforts to attract new investors and venture capitalists. Although this idea is not relatively new but in Europe the launch proved to be successful as it provides people a solution to their traveling issues. The success of this new launch can be measured by assessing downloads that were around 50,000 in a very short span. Besides that the company also got publicity through the Spanish press that contributed greatly towards the brand awareness of the new app. The company grew with constant success as downloads reached to close the 200,000 mark and have around 500 hotels on board in around 40 cities across Europe. Although the concept already exists in the market, but in the European market the idea is relatively new and has the first mover advantage. The reason towards this rapid success of the app is due to its unique approach, and also it serves people as a substitute for online booking. The idea is not just an idea, but it catered to people in a way that helped them solve an issue. Before people were online aware of online booking for hotels and restaurants as while traveling, which was not just time-consuming but lengthy as well. 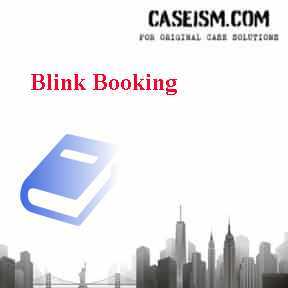 With Blink people in Europe found a solution that helped them book hotels at the eleventh hour with any difficulty and complexity. It is a four-step process or just clicks that helped people in deciding or selecting their favorite premium hotels across Europe with ease. As a mobile platform, this was a revolution because traveling has become a very late decision and people prefer to have the right option as well. People prefer to choose the most premium options at the best prices without engaging in the activity of selecting from many options and Blink perfectly caters this need. As far as people preferences are concerned Blink is a success as it can be seen in the number of downloads it has to date. On the other hand, the revenue model of the company is quite successful as well, as it attained 10%-20% of hotel prices which justify the return on investment. This scenario indicates that Blink has gathered a significant amount of money, but the growth is still not as speedy as it needs to be. The company has invested a lot in this project by obtaining the amount from the venture capitalists, who are desperate to see the idea grow further. Currently, the performance is beyond satisfaction and with an additional investment and adding new locations the company can expand its horizons. Therefore, Rebecca needs to attract new investments in order to make the platform more easy and attractive and attract more users by adding more locations and hotels. The idea is unique and it serves the consumers well, but in order to stay attractive for long, Rebecca will have to think consistently towards differentiating the app. Competition is a major threat and with the presence of Rocket in the European the threat is quite significant. Therefore, it is important for Rebecca to take the charge and give Blink proper time and take it as the only responsible. Differentiation in e-commerce is important as the industry is becoming stagnant with many platforms serving the same category. As Rebecca is the initiator of the idea and created the platform so she has a better idea about the pros and cons of his platform and how beneficial it can be in the future. Therefore, Rebecca should take on the role of the CEO of the company and handle all the operations under her supervision. Although this decision is quite critical and will put Rebecca under real challenge as she has no such experience in leading a firm. However, as an entrepreneur, it is important for her to become an entrepreneur as well.